We’ve got a workshop set up for anyone who can make it to Edinburgh to knit trees with us. We’d really love to meet as many of our supporters as possible. All trees delivered to us by 31 March will go on display in the Science Festival Art Trail so this is an ideal chance to get started. Location Summerhall Cafe, Summerhall Arts Centre, 1 Summerhall Place, Edinburgh (that’s a lot of Summerhall!) Here’s a map Summerhall is also the venue for the exhibition and hopefully by then we’ll know exactly where our work will be sited. Julia and I will both be there with our big bag of wool (kindly donated by McAree Bros and by an anonymous knitter) to hand out. Bring your favourite dpns or crochet hook. We’ll give you the yarn and talk you through the process of making a binary bonsai that you can add to to the specimen collection for the exhibition in April. I’ll also have some felt and embroidery floss to get people making a stitched version. I haven’t had time to write up yet but it’s on its way. We’ll have tree stuffing stuff too! Please spread the word. Tell members of your local knitting group. Bring/send along anyone who’s interested in contributing – basic knitting in the round or crochet skills required. If you’ve made a tree or hyperbolic flowers or fungus this would be a good time and place to hand them in too. 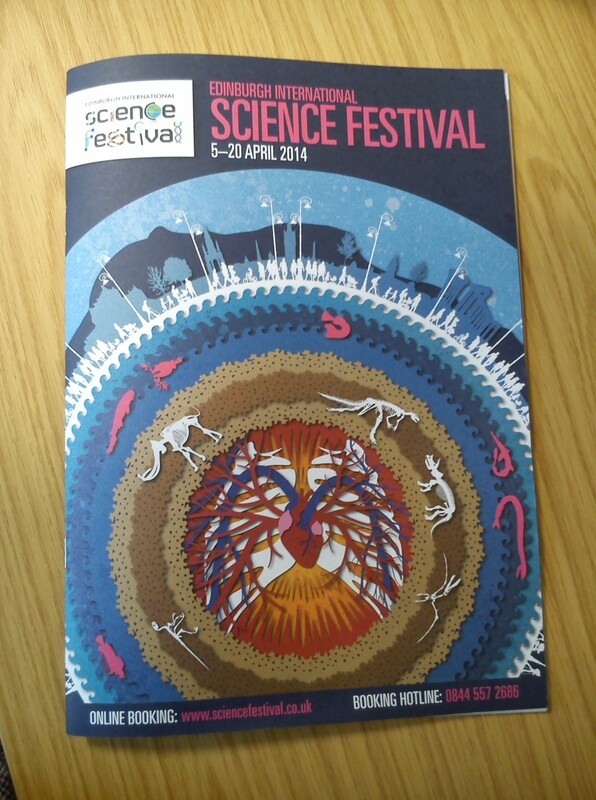 This morning the Edinburgh International Science Festival launched their programme. We really pleased to announce that Botanica Mathematica will be part of the Science at the HeART of Things art trail. It will take place from 5th to 20th April in Edinburgh’s Summerhall Art Centre which has been getting lots of media attention for its adventurous programmes of exhibitions and performances. I’d like to take this opportunity to ask knitter or crocheter who reads this to contribute a Binary Bonsai or a Fibonacci Flower or a Hyperbolic Chanterelle to help put on a really great show. In particular we need more trees to have a good sample size for species classifications. We could hold a workshop (with free yarn from our sponsors, McAree Bros 🙂 ) one Saturday in March if it looks like people are interested. Email madeleineshepherd[at]gmail.com (replacing [at] with @ – of course) if you’d like to come along and we’ll take it from there. Botanica Mathematica will also be taking part in Botanics Late in the Royal Botanic Gardens Edinburgh on 17 April. For this event we’ll be showcasing the results of our new collaboration with Naomi Nakayama from Institute of Molecular Plant Sciences, University of Edinburgh. Naomi is helping us make new designs based on lichens, mosses, liverworts and other lower plants indigenous to Scotland. We’ll have more to say about these in the near future. There’s also a Mini Maker Faire on 20 April at Summerhall. We will both be around in one capacity or another. More on this as it gets finalised. I hope you’ll all be able to contribute to/take part in/visit these and other events during the Festival this April. Please share your thoughts and photographs if you do. Categories: Uncategorized | Tags: binary, Botanica Mathematica, Edinburgh International Science Festival, Fibonacci Flower, hyperbolic, knitting, L-system, mathematical biology, patterns, Royal Botanic Gardens Edinburgh, tree | Permalink.